AUGUSTA — A 30-year-old Winslow man pleaded not guilty today to a charge of murder in the Dec. 4 shooting death of Justin V. Smith, 26, of China. AUGUSTA — A few minutes after Matthew Partridge pleaded not guilty to an indictment charging him with the murder, the Winslow man’s attorney asked for a speedy trial beginning in the spring, if possible. “We don’t want it delayed whatsoever,” attorney Pamela Ames said in court Wednesday afternoon. Justice Michaela Murphy said she would set a timetable once pre-trial motions are filed. Partridge is accused of shooting Smith, 26, in the face with a Sig Sauer 9 mm handgun around 11 p.m. Dec. 4 after a brief altercation between two groups of men outside a pub in Waterville. Partridge has been held at the Kennebec County jail since his arrest shortly after the shooting because he has been unable to make the $700,000 bail set earlier by Murphy. 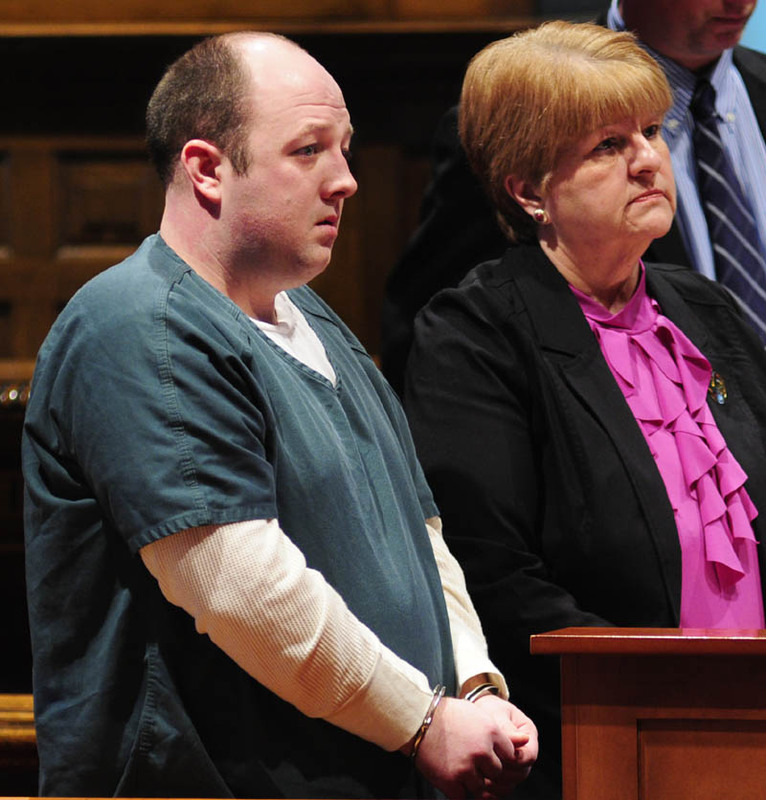 The prosecutor, Assistant Attorney General Andrew Benson, asked that the amount of bail remain as set, and Murphy agreed. Partridge was arraigned Wednesday in Kennebec County Superior Court on an indictment of intentional or knowing murder that a grand jury had handed up last week. A handful of people came into the courtroom to watch the brief proceeding and left almost immediately. Ames has said Partridge acted in self-defense after Smith blocked Partridge’s truck from leaving a parking lot and punched Partridge in the face, and that he could end up being cleared or facing a lesser charge. Partridge told the state trooper arresting him that night along Route 8 in Smithfield, “You know what the problem is. I tried to defend myself, and I wasn’t sure if I was doing it right, if I was doing the right thing.” That exchange is contained in a court affidavit filed by Trooper Joshua Birmingham of the Maine State Police. “There is a defense to murder, which reduces it to manslaughter if the defendant was under extreme fear or extreme anger,” Ames said. She said the grand jury that indicted Partridge might have opted to charge him with manslaughter instead of murder. She suggested the jury may not have known all of the case facts. “The fact of (Partridge’s) two black eyes and being punched in the face may not have gotten to the grand jury,” she said. Murphy warned Partridge that if he is convicted, he would be subject to a prison sentence of 25 years and none of that could be suspended. The maximum penalty, she said, is life in prison without parole. Partridge, who also is represented by attorney Brad Grant, told the judge he understood the charge and the penalties if convicted. He made no additional statements.